The Pantone name is synonymous with color. 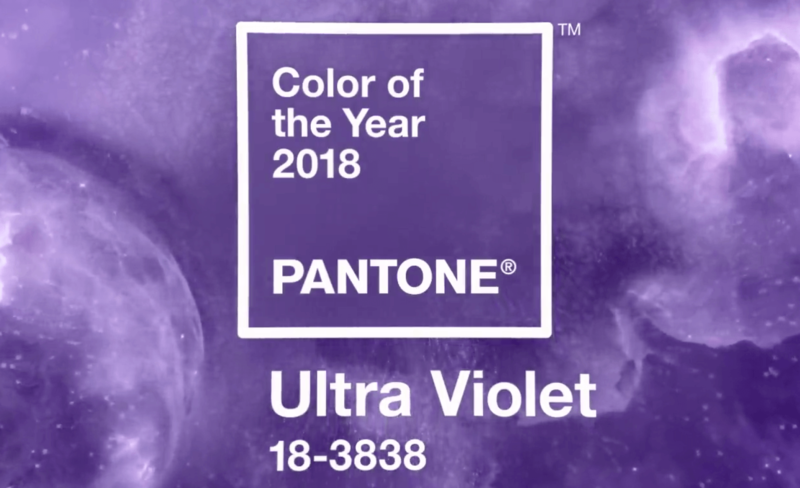 Each year, they pick a color that exemplifies current trends in design, and this year, the honor fell to Ultra Violet. We’re talking about an intense color with a provocative name that isn’t commonly used on the web, due to the difficulty you’ll face when incorporating it into modern designs. Ultra Violet may be intimidating, but it’s also ripe with creative opportunities when it comes to web design. In this article, we’ll introduce you to the color, talk about its parent (purple), and how it fits in web design. Then we’ll teach you a few tricks to incorporate Ultra Violet into your repertoire. Ultra violet is a bold color choice that stands out wherever you use it. The Pantone Color Institute is a company that advises businesses on which colors to use for their brand identities and product development. They also engage in what’s known as ‘color forecasting’, essentially predicting which colors will be in vogue in the immediate future. Each year, they choose a color of the year – in part, a prediction of future design trends. Before you start experimenting, you should keep reading to discover more about the traditional uses of purple in design. Plus, we’ll also provide you with a few tips on how to use Ultra Violet effectively later on. Overall, the contrast between white and violet makes for a pleasant combination. Moreover, it should enable you to find the buttons and elements you need quicker since your eye should be drawn to the color. That’s not to say, of course, you should eschew all other colors in favor of violet and purple. Rather, we recommend keeping Ultra Violet in your back pocket for those situations where you want to really call attention towards a page or element. There are, of course, nearly endless ways to use any color in projects. However, these three tips will enable you to make the most out of your bold color choice. The key to using contrast properly is to pick the right colors and make sure there’s a balance in how much you use each of them. To help you with the former, you can use a color wheel to see what tones you find opposite of Ultra Violet. From a functionality standpoint, there’s not much happening in the screenshot above – the page just displays a simple contact form. However, using a simple gradient background alongside a bold color choice is enough to make the section pop visually. Implementing gradients in WordPress can be tricky though, unless you’re using the right tool for the job. Divi, for example, enables you to create gradient background overlays for any modules you use and the elements within. Here, we have two distinct sets of elements – contact information, and social media icons. The first stands out thanks to the contrast between the white text and dark background. However, we decided to use an accent color – Ultra Violet, of course – to make the social icons pop even more. The obvious choice would’ve been to use white for those as well, but then the four icons would’ve blended in with the text, which is a boring design choice. The main takeaway is that accent colors should be bold and leverage the benefits of contrast. However, you should limit their use to a handful of elements per page at most, so they don’t blend in with the rest of your design. There are a lot of ‘safe’ colors when it comes to web design, such as white, black, blue, and red. People are used to seeing them, so you need to use them creatively if you’re aiming for the ‘wow’ factor. With Ultra Violet, though, the color alone makes a statement, and it helps shake up your designs. Use it alongside contrasting colors, such as orange or green. Implement it as part of a gradient for a stylish effect. Use it as an accent color on white backgrounds. 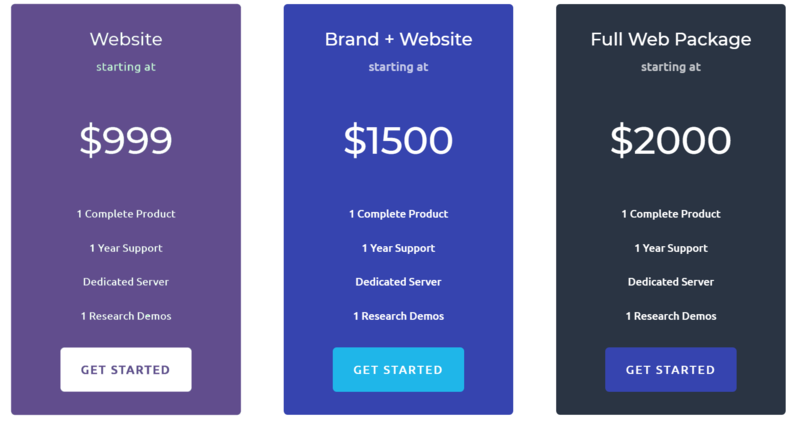 Do you have any questions about how to use Ultra Violet in your next web project? Let’s talk about it in the comments section below! Article image thumbnail by AmzhyIttay / shutterstock.com. I love this article! Thank you for sharing previous year’s colors, and for showing examples. There is a vibrational frequency given off by colors as well… and Violet has the power to transmute negative into positive. Check out The Violet Flame. Super interesting stuff! It’s also the color of the Crown Chakra which is where we download information from outside the linear brain. Thank you John for a very nice break from coding and technical software discussions. It is nice to read an article about unique color usage and artistic color selection here at ET. Thanks for sharing. Great advice on how to use colours. Thats one of my all time favorite colors. I call it Grape Soda Can purple. I am excited about this color but am wondering, do you recommend changing the colors on your website each year; or even just accent colors? This is also the official colour of International Women’s Day on 8th March, so good to use if you’re building a site related to that. All colours and their values are perceived relative to the colours close to them. Unfortunately it’s nightmare for people working on color-sensitive sites if they are using a UI that is violently colourful. I believe having at least an option to subdue/desaturate the Divi’s UI candy colours to something more neutral / monochrome is a good idea. Content colours of designer’s work should take precedence over the UI. The UI can still remain Elegant and beautiful. So…for the love of colour remove it from the UI. What would be really “divi-cool” is to have a UI setting to gradually step down/filter the saturation value of the all UI colours in a seamless manner, preserving the differences in values for UI highlights and shadows. It’s a simple fix. The same goes for backend and frontend editor. This way Elegant can keep their visual identity while at the same time giving a great option to it’s users. Being in web design we wait for the announcement every year. I love the idea of the gradient color scheme. I find that so eye-catching on designs. I wonder though if this color is so strong that it would pixel easily like reds do? It’s important to stay on top of the trends, but only if they function properly. Guess we will have to test and see! I really enjoy this color, it reminds me of something that should be on a wizard’s robe. To me, it represents mastery and professionalism. However, it’s a color that should be used wisely, because it can easily become a distraction and outweigh other colors.